Excerpt taken from Jesus the Messiah in the Hebrew Bible. New York, NY: Paulist Press, 2006. The most evocative component of the episodes of Christ's suffering is perhaps the ambivalence of the incident of betrayal. At once we witness the valleys and the peaks of the human condition and we are drawn into a polemic that challenges us to glimpse the light amidst a deep darkness. Within the ambivalence, then, there exists this antagonism, which only exacerbates the humanness of the story, and ought to give us greater pause. There is breadth of emotional dimension present in the various gospel accounts of the betrayal: friendship and trust, juxtaposed against greed, deceit, and fear. Not only does Christ have the onus of Judas' perfidy to bear, but he is also beset by abandonment by others of his chosen twelve. 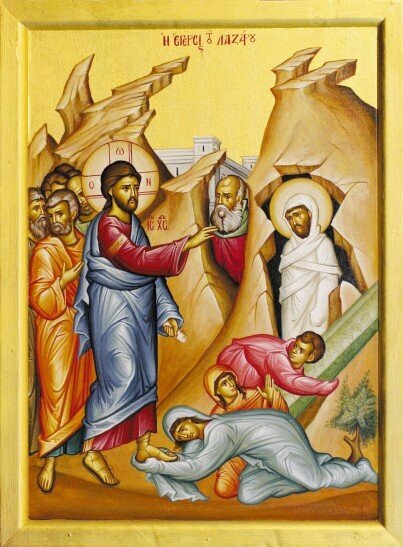 Perhaps the most poignant of the recallings is the fleeing by the others in Mark's narrative (Mark 14:50-52). Not only did they forsake their Master, but they left everything behind in doing so; this is in stark contrast to the original call of Christ to leave everything and join him (Matt 8:22; Mark 10:29). The fear of condemnation and death was greater even for the disciples than was the discarding of the one in whom they sought their salvation. Against this backdrop of disturbance and melee, we see the tremendous potential for humanity as Christ is led to and endures his sacrifice. These various dimensions should beget in us a keen perception of the vagaries of our humanness; that our individual, small efforts are insufficient to the task of our own improvement; and that our hope lies in turning over our lives to the one who took on our flesh and redeemed us from the darkness. By reference to the events and person of the Messiah, the Old Testament made available for the faithful of the early common era the apparatus of belief and understanding by which the perception of Christ as the Messiah could be conceived. It continues to make this apparatus available for contemporary readers of faith. Ps 41:10/9: "Even my colleague, in whom I trusted, who ate of my bread, lifted up [his] heel against me." Ps 55:13/12-15/14: "For it is not an enemy who taunts me, that I could bear; he who hates me did not lift his heel against me, then I could hide from him. But it is you, a person of my own rank, my compatriot, my confidant. For we used to sweeten our secret together in the house of God." Christ's suffering begins with Judas Iscariot's treachery, as he is sold by his trusted disciple. In looking at the prophetic hints of the betrayal, two questions arise: (1) Who was the one who delivered? ; and, (2) How does the Old Testament portray the betrayer and the events leading up to Christ's death on the cross? John tells us of Christ's words to Pilate, the man who would ultimately sentence Christ, and order his death, "[He] who delivered me to you has the greater sin" (John 19:11). For the sake of a presentation which parallels the elements of the gospel narratives, we will begin with a profile of the betrayer himself. What are the passages of the Old Testament which give us indication that the Messiah would be betrayed? That, he would be turned over to the authorities? That, as a result of the betrayer's actions, he would be killed? We can specify the attributes of "the one who delivered" Jesus to the Jewish authorities and eventually to Pilate, the Roman governor. We will turn first to an examination of the Old Testament portrayals of the most famous betrayer. The texts which specifically refer to the betrayer are Psalm 41:10/9 and Psalm 55:13/12-15/14. In the following pages, we shall explain these texts in their prophetic light and establish a profile of the betrayer in order to demonstrate the veracity of the prophetic message vis-à-vis the events of the gospel narratives. The substance of both Old Testament passages is king David's great disappointment, not only by the actions of his enemies, but by the actions of his intimate friend and counselor who sided with his enemies. The imbricated identity of the betrayer in these psalms is unfolded gradually, as it is in the gospel fulfillment account. In its typological interpretation, Psalm 41 is messianic in both wide and narrow senses. In the wide sense, it conveys general statements of betrayal and humiliation to be suffered by the Messiah in the carrying out of his royal, prophetic and priestly tasks. Narrowly construed, it also conveys, as seen in verse 10/9, the specific image of David, the royal persona, betrayed by a close and trusted friend. The imagery and sentiment is repeated in the gospel narratives, and the duplicity of Psalm 41:10/9 is fulfilled by the chronicling of Christ and Judas and the scene of betrayal in Gethsemane. To view the prophetic message of our passage in its fullness, we must evaluate the signal components of the text. a. Colleague. King David refers to the betrayer as "my colleague," a phrase which, in Hebrew (ish shalom), is attended by undertones of significant relationship. In the Septuagint, the Hebrew idiom is rendered literally as "the man of my peace" (ho anthropos tes eirenes mou). Similarly, the Vulgate version delivers to us homo pacis mae, a virtually identical image. That ish shalom is a difficult idiom can be seen from the fact that the Targum, the Aramaic version on Psalm 41 inserts the word dtb' "who seeks," the whole phrase meaning, "the man who seeks my welfare (peace)," which actually fits quite well with Ahitophel's profile. The original Hebrew idiom, however, means "colleague, comrade, companion"; in short, it connotes a specific and deep bond of shared intimacy. Neither the Greek nor Latin translation adequately brings forward the original metaphorical value of the Hebrew idiom; both render unsatisfactorily the idea of the close relationship between betrayed and betrayer. In the garden of Gethsemane, at the time of his arrest, Christ called Judas "comrade, companion" (hetairos) which clarifies Judas' status as one of the apostles, and sums his position as a co worker of Christ. Matthew (26:47-50) relates the scene in the garden with a particular clarity, and juxtaposes the act of betrayal by Judas against Christ's commendation of him as "comrade." The crowd, the kiss, and the arrest of Christ as he poses his poignant question to Judas, "Comrade, why are you here?" give a particularly weighty flavor to Judas' deception, and intensify the agonizing aspect of the incident. b. Trusted one. The trusted one (lit. batachty "[the one on whom] I trusted") of Psalm 41:10/9 has been identified with Ahithophel the Gilonite, David's counselor, who sided with Absalom in his rebellion against his father the king (2 Sam 15:12). David wrote Psalm 41 after he learned that his friend had joined Absalom in his conspiracy (2 Sam 15:31; 16:23). The full psalm situates David in the context of bodily illness, and calumny brought upon him by surrounding enemies and, most bitterly, by his colleague. In spite of his lament, David successfully crushed Absalom's rebellion, and his colleague, Ahithophel, hanged himself in remorse and abnegation (2 Sam 17:23). In its realization in the New Testament equivalent, Judas was entrusted with the finances of the group (John 13:29), which gives us insight into the trust placed in him by Christ. As the fulfillment of the antitype Ahithophel, Judas joined in the conspiracy of the priests and scribes who sought Jesus' life. It is significant that Judas paid the same price as Ahithophel for his mistake: he hanged himself (Matt 27:5). We should also note that none can avoid judgment when standing before Jesus: not Judas, not Pilate, and not the gospel reader of today. We must be careful not to exempt ourselves from the implications of faith and of being part to the Christian community. The gospel accounts are not historic exhortations to no longer extant communities; rather, they are intended for every generation of faith, to be understood and incorporated into the daily living of one's personal and communal faith. c. Meal Sharer. The relationship lamented in Psalm 41 has been posited to be that between David and Ahithophel. This was a cherished relationship of trust and mutual confidence, as indicated by the referent "colleague," and further indicated by the act of eating together. The act of sitting at table with one's closest companions is a nearly universal theme of hospitality, trust, and deep emotional connection between the sharers of the meal. In the Hebrew text ("the one who was eating my bread"), the form of the verb used for "eating" (‘okel) is a participle, which expresses continuous or habitual activity, and some scholars suggest that it was a covenantal meal, shared in order to consecrate the friendship of David and Ahithophel. The use of the term "bread" (lechem) supports this hypothesis. These themes of repetitive, continuous activity, and communion take on greater significance in the New Testament context of the relations between Christ and his disciples, and their shared life. For example, the habitual activity of the meal of Psalm 41 can be understood as an indicator of the several occasions when Jesus and his disciples used to eat together. The suggestion of a relationship based on a covenantal meal in Psalm 41 may also hint at the revelation Jesus made at the Last Supper regarding the identity of the betrayer, and the institution of the Eucharist (see, e.g., Matt 26:20-29; John 13:21-30). Typologically, "my bread" (Ps 41:10/9) may be a reference to "my body" (Matt 26:26-29); that is, it may refer to Jesus' body, the Eucharist. d. Despiser. The Hebrew reading higdil ‘al ‘aqeb "to lift the heel against somebody" is a hapax legomenon, an idiom found only in Psalm 41:10/9. It suggests, perhaps, a stamping with the heel of a boot, or giving a great kick spitefully. The main idea is that David and the royal family are rejected and humiliated by both a rebellious son and an intimate friend turned overnight into an enemy. It takes little imaginative process to conjure the sentiment of betrayal. The poignancy of Judas' act against Christ is augmented by the metaphorical reference to the kingdom of God as found in helplessness, rather than through the wielding of power over others. Jesus demonstrated the greatest vulnerability in his endurance of the trial, the humiliation, physical torture, and death. Crucifixion was deliberately designed to display the victim's lowliness and the disdain in which he was held by the authorities. It was the most ignoble method of putting criminals to death. e. Co equal. Psalm 55:14/13 adds an additional layer of detail to the profile of the betrayer. Interestingly, the Targum on Psalm 55 inserts the name of Ahitophel in order to clarify the identity of David's "equal." The Septuagint renders the Hebrew phrase ‘enosh ke'erky "a person according to my valuation, my equal" or "a person such as I," as isopsychou "of equal spirit," underscoring the point of shared intent of purpose, although not necessarily of the same rank. It is an ideological equivalence, distinct from the Hebrew idiom, which implies political and social equality. No longer is he simply a comrade of the Messiah; he is also, according to this psalm, an equal of the Messiah, his close friend, and confidant. Coupled with the hues of meaning implicit in the sharing of bread between intimate friends (see above), this additional layer of significance further belies the great accord of the friendship to which the psalmist refers. As with Psalm 41:10/9, the idea remains that it is tolerable to be jostled and oppressed by one's enemies, for it is expected from those who hate. The bitter gall of betrayal by one as intimate as the psalmist indicates, however, is all but unbearable. The lament of loss is the psalmist's appeal to God, his effort to lay bare the extent of his soul and plead for compassion. This petition made to God by the injured man as a result of the betrayal stands in stark relief to the betrayal itself. The brokenness of heart is the point of convergence for God and the broken hearted, the point at which the psalmist finds solace. Destroyed by one so intimate as his "equal," the psalmist lifts up his eyes to God. He turns his faith in the eternal Judge when his belief in his friends has been shattered. The New Testament alludes to the intent of the psalmist in defining this broken relationship. In John 15:15, Jesus names his disciples "friends," and treats them as equals and co workers, rather than as ignorant servants, "I have called you friends, because I have made known to you everything that I have heard from my Father." (NRSV) A "friend" (philos) is more than a "comrade" (hetairos). The former designates a close relationship based upon equality between two persons; the latter refers to a professional cooperation. f. Compatriot. The Hebrew term ‘allup I means "close (family) friend," and is related to the term ‘elep, which means "clan, tribe, settlement, region," and hence confers the sense of "compatriot." However, in the Septuagint we find ho hegemon mou, meaning "my leader, commander." This presupposes the Hebrew homonym ‘allup II "tribal chief, leader," which does not fit well into the context of Psalm 55, because the betrayer is described as equal to David. This begs the question of whether Judas Iscariot, the New Testament betrayer, could be called a compatriot of Christ; that is, can we find evidence that Judas came from the same region as Christ? The first element of the betrayer's name, "Judas" (Ioudas), is the Hellenized form of the Hebrew name "Judah" (yehuda). As for "Iscariot," this appears to be a nickname used to distinguish this apostle from others also bearing the name "Judah" (Luke 6:16; Acts 1:13; John 14:22). There are several interpretations surrounding this nomenclature. The following two of these interpretations are the most discussed. (a) The first assumes that Iscariot is a compound word, which derives from the Hebrew term ‘ish for "man" or "the one of," and Qeriyyoth, a town, probably the hometown of Judas. If this interpretation is correct, then Judas, probably alone among the twelve, was a Judaean (from the village of Kerioth, cf. Josh 15:25), as Jesus was. (b) Other scholars believe that the Aramaic name Iscariot means "man from the City" (qiryeta'), namely, from Jerusalem. According to either of these interpretations, Judas Iscariot seems to be the only apostle originally from Judaea, and a good candidate to the title of "compatriot" of our Lord. These two readings support the sites in the psalms where the betrayer is called "close friend, colleague, compatriot" of the Messiah, who shall be from the tribe of Judah (Gen 49:10). g. Confidant. As with the analysis of "a person of my rank," examination of the term meyudda' "confidant" (from the Hebrew verb yada' "to know") reveals that the psalmist is referring to a person entrusted with the knowledge of one's private affairs. This title is very close in meaning to rea' "friend," and points to the new appellation given by Christ to his disciples at the Last Supper, "I have called you friends because I have made known to you everything I have heard from my Father" (John 15:15). (NRSV) The implication is that the Father has revealed pertinent and specific information to Jesus, and that Jesus has, in turn, shared this information with his disciples, "Then the disciples came and asked him, ‘Why do you speak to them in parables?' He answered, ‘To you it has been given to know the secrets of the kingdom of heaven, but to them it has not been given"' (Matt 13:10-11). (NRSV) The mysteries are not for general consumption, but are given to the closest of the collaborators of Christ. We might guess at the content of this revelation, but it is not vital for our task. It was, of course, privileged information, and required enormous trust for disclosure. Despite his impending duplicity, Judas was graced with this trust; because of this, he fits the description as confidant. h. Participant in a secret gathering. This clause serves as a conclusion and a rationale for all the titles and attributes of the betrayer vis-à-vis his master. The Hebrew phrase namtiq sod means literally "we used to sweeten together [our] secret," which conveys the sense of "we held close company together." The rendering of the clause in the Septuagint reads, "who in companionship with me sweetened [our] food." The Hebrew word sod in this phrase means "secret council," and designates either the gathering of individuals joined to conduct secret business, or the secret content of their discussions. Here again we find themes of community and trust. This "secret" or "mystery" may hint at the eucharist instituted by Jesus at the Last Supper prior to Judas' leaving the upper room (Luke 22:19-23; but note Mark 14:18b-21, which places the betrayal before the institution account). A compelling facet of this possibility is the intent of the term for "sweetening," which means to make the mystery (e.g., the sacrificed body and blood of Christ) accessible to a community of believers. The betrayer is emerging very clearly as the trusted, intimate friend. He is relied upon by his victim. He is a sharer of fellowship and the confidential details of his victim's life. He is the one who originates from the same tribe. In essence, the betrayer and his victim were accustomed, during their relationship, to coming together to share a meal, perhaps a covenantal meal; to sharing converse of secret content, including the revelation of God the Father to his Son, and the institution of the most sacred of worshiping mysteries; to sharing in the redemptive work of God. These are immense dual interests, and the familiarity necessary to the successful disposition of such a reciprocal association is plain. We are challenged then to delve into the depth of the sedition perpetrated in prophetic allusion in the Old Testament by Ahithophel against king David, and consummated in the New Testament by the abhorrent activities of Judas against Jesus Christ.